Now that November is upon us, the holiday season is going to come fast. It’s always this time of year (although I hate to admit it) where I start thinking deeply about how my money could be put to better use. We talk a lot about saving, spending, and ways to make smarter financial decisions here on TFD, and I think it’s valuable to consider how our money can make a difference as well. Even if you have limited resources (and not a ton of extra money to spare) you can still experience the empowered feeling that comes from donating a few dollars to a worthy cause. Every time I make a call or go online to sign up to donate I feel deeply satisfied. It’s a better use of my money, and it’s so much more satisfying than buying another outfit I don’t need. For me, trying to understand charity ratings, reviews, and scores of financial transparency feels overwhelming to say the least. I’m tired of blindly selecting charities to donate to based on a whim, or because I heard the name mentioned on the radio. The older I get the more I feel compelled to put my money where my mouth is more significantly than I have in the past. I want to invest smartly in an organization that I’ve researched and have an in-depth understanding of how they use my money. While there are a great many charities out there to navigate through, there is a subset that serves women and children specifically, to which I feel particularly drawn to. In the same way one would invest in stocks and bonds carefully, it’s important to me that my money works hard for charities who utilize it most effectively. The list below is a (very) small sampling of a few fantastic organizations, non-profits, and charities that work hard for women and children. By donating money across diversified platforms I find meaningful, I can make sure I’m really stretching those dollars I donate. Check out these five fantastic charities that work to make quality of life for women better. 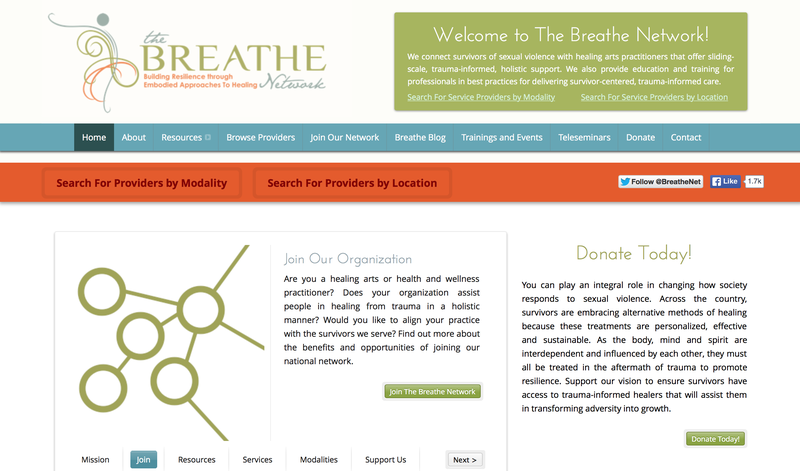 The Breathe Network is a small-sized charity that is aimed to help women and offer, “trauma-informed, holistic methods to help survivors of sexual violence heal in ways that allow each woman to reclaim her body, mind, confidence, and power.” Not only do they help victims of sexual violence, they also provide education, courses, and training for healing arts practitioners. They advocate for healing the mind, body, and spirit in the aftermath of trauma and aim to connect victims of sexual assault with holistic healers in their area. 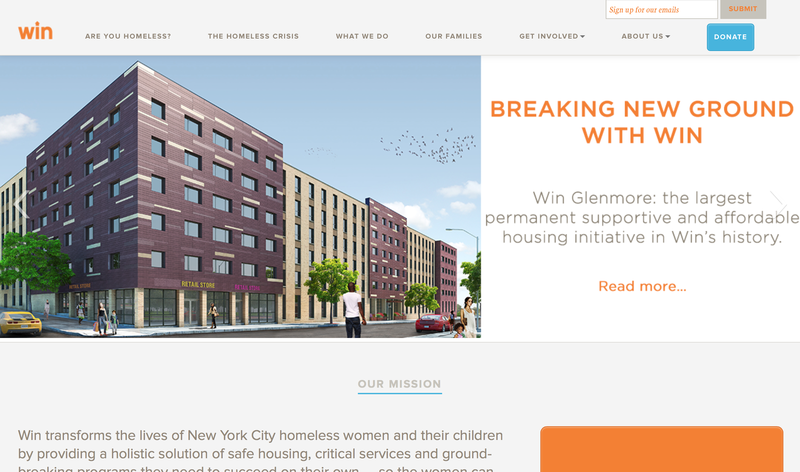 Win NYC is an organization that seeks to break the cycle of homelessness for women and children living on the streets. It’s one of the city’s largest nonprofit organizations that provides help for homeless women. Win provides shelter for 4,500 people across NYC every night, including 2,700 children, and operates about 11 sites. What’s great about this charity is that it provides rehabilitation programs that women graduate from which gives them a real chance of getting back on their feet and starting a new life for themselves. They offer job training, after-school programs, and tutoring to help homeless women and children gain back their sense of independence. The American Association of University Women (AAUW) is an organization that was established in 1881. It works to advance equity for women and girls through advocacy, education, philanthropy, and research. They tackle issues that span a wide range of topics: they seek to close the gender pay gap, promote women working in STEM fields, and empower women to negotiate salaries and raises at their jobs, to name a few. They awarded 3.7 million dollars to women to help them in their academic and professional endeavors, and have a presence on 140 college campuses. They offer extensive resources, insightful articles, and offer numerous ways to get involved in a local chapter. 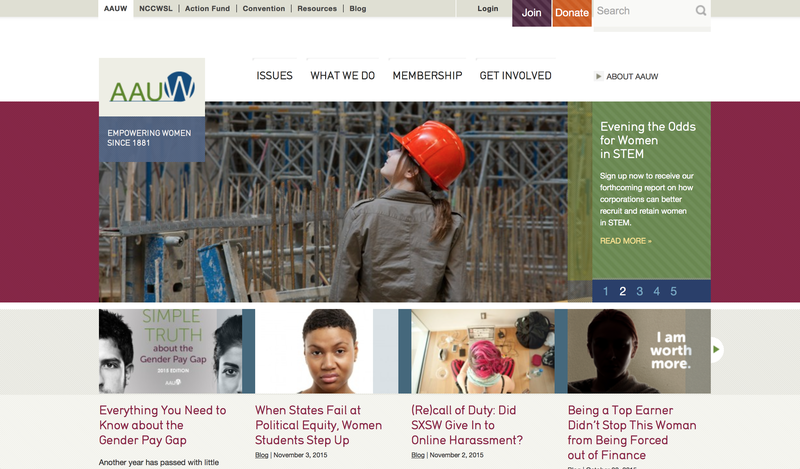 The National Partnership For Women And Families works hard to “promote fairness in the workplace, for reproductive health and rights, for access to quality, affordable health care, and for policies that help women and men meet the dual demands of work and family.” They seek to bring equality to women all across America and work to create real and long-lasting change. 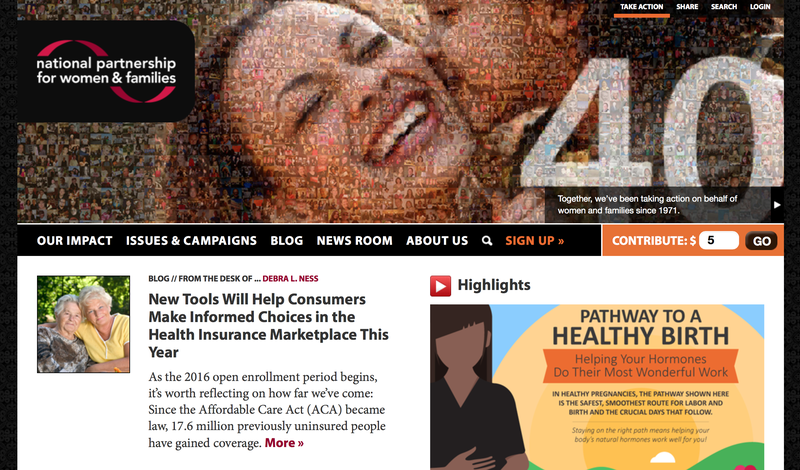 An article on Marie Claire highlights the organization’s achievements saying “this group has fought for every major policy advancement that has helped women and families in the past three decades. The group fights for national legislation but can help individuals find resources needed for their own battles.” They have fought for Pregnancy Discrimination Act, Civil Rights Act, Family and Medical Leave Act, Lilly Ledbetter Fair Pay Act, Affordable Care Act, Three statewide paid family leave programs, Numerous local and state paid sick days laws, to name a few. 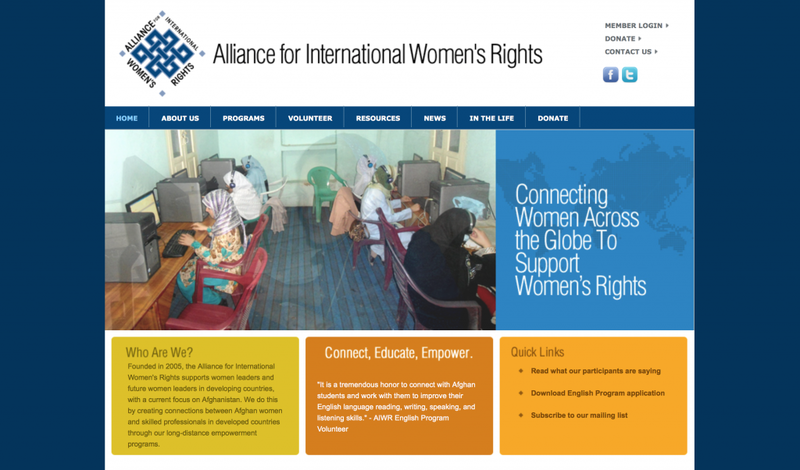 The Alliance For International Women’s Rights is an organization that supports women leaders and future women leaders in developing countries. They connect women from developed countries who want to use their skills, with women living in developing countries who can benefit from them. Together they work hard to promote women’s rights. The programs they offer include language classes, mentoring programs, tutoring, and education. You can find a way to volunteer or simply donate to help support their communication and mentoring programs. If donating money is something you can fit into your monthly expenses, great. But if it’s something you can only do once in a while it’s even more important to make sure that you’re donating to a cause that uses your money wisely. 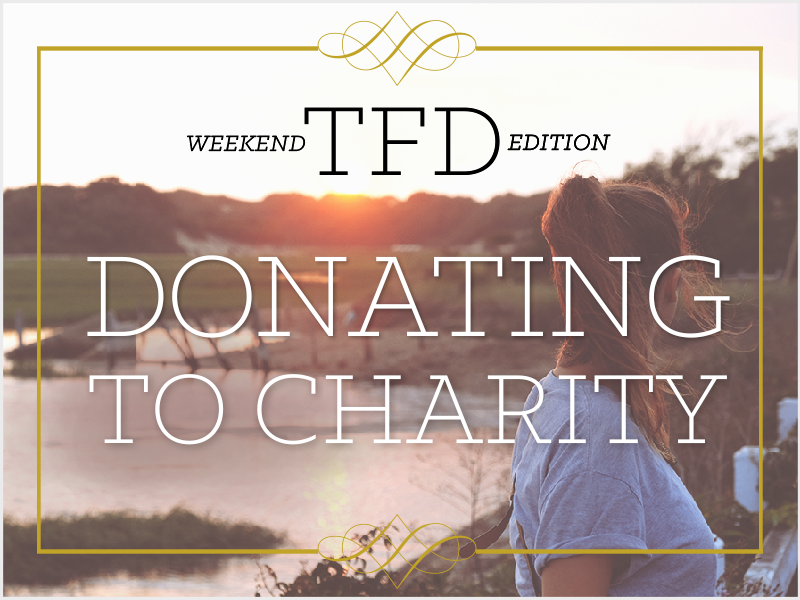 You always want to make sure that the charity has high transparency and a strong financial accountability score. Make sure you use websites like Charity Navigator to intelligently search for organizations and get the information you need to invest smartly. Below are some helpful links that will make it easier to decide what charity you should give to and if your current charity measures up. Check them out.